The Hitman’s Bodyguard features fan-favourite actors Ryan Reynolds and Samuel L. Jackson in this buddy-crime-comedy-action film. Calling them buddies in this film is a bit of a stretch considering they essentially have to hold back from killing each other, however we all know they’ll become friends by the end of it. Reynolds plays one of the world’s best bodyguards, tasked with the mission to protect a hitman (Jackson) and action and hilarity ensue when their ego’s and differences clash. The film looks like it has a bit of a Lethal Weapon (1987) vibe going for it, and judging by the trailer below, we should be in for an entertaining ride. 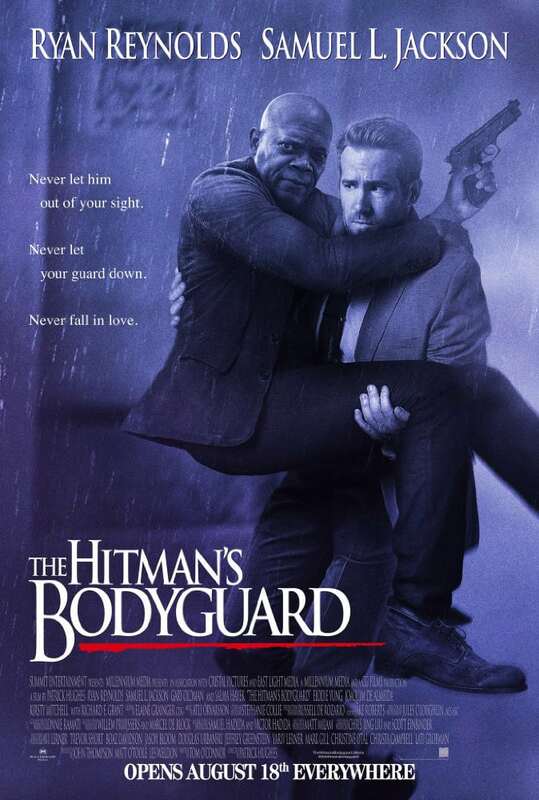 The Hitman’s Bodyguard is directed by Australian director Patrick Hughes, who broke out on the scene with his film Red Hill (2010), and then went on to direct the universally panned The Expendables 3 (2014). I’m glad to see that Hughes got another major directing gig with big stars after that, and I hope this film does well for him, as it’s always great to see Australian talent succeed in Hollywood, be it in front or behind the camera. Joining Ryan Reynolds and Samuel L. Jackson is Gary Oldman, Salma Hayek, Elodie Yung, Joaquim De Almeida, Kirsty Mitchell, and Richard E. Grant. The film releases on 31 August 2017, check out the trailer and funny poster below.